Mondrian's unique collection of paintings is one of the highlights of the Gemeentemuseum in The Hague. His final, and perhaps most popular work is here: Victory Boogie Woogie. Mondrian was associated with the influential De Stijl Group, and the Gemeentemuseum Den Haag has a permanent exhibition on this important Dutch contribution to modern art. Mondrian and De Stijl finally have a permanent home base in the Netherlands. Besides Rembrandt and Van Gogh, the work of De Stijl is the only art form to be included in the Canon of Dutch History. Without De Stijl, the homes and streets and the very cityscapes of the western world would have looked very different. Moreover, the group that grew up around Piet Mondrian and Theo van Doesburg continues to inspire artists, designers and architects even to this day. It is difficult to overestimate the significance of De Stijl, a movement that played a pivotal role in the European Avant-Garde. 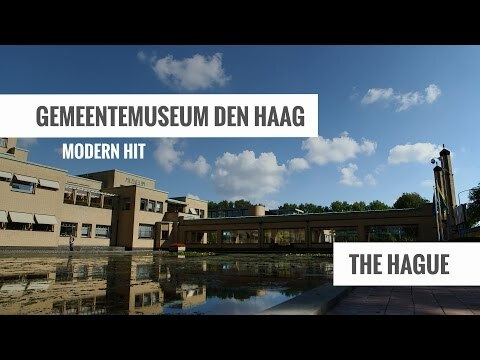 Gemeentemuseum Den Haag is dedicating an entire wing to Mondrian and De Stijl. Pieter Cornelius Mondriaan was born in Amersfoort in 1872. After experimenting with many different forms of painting, he came into contact with artists such as Bart van der Leck, Theo van Doesburg and J.J.P. Oud, with whom he founded the abstract art movement called De Stijl ('The Style'). From then on his paitings abandonded all subjectivity, and he udes vertical and horizontal lines and three primary colours, red, blue and yellow, togeher with neutral blacks, whites and greys. Mondrian is regarded as one of the founders of geometric abstraction. With almost 300 works, the Gemeentemuseum's Mondrian collection is unique in the world. It covers every phase in the impressive career of this master of modern art. Not many artists have been so successful at constantly reinventing themselves from the early stages of their artistic development until their death while maintaining a high level of artistic quality in their work. 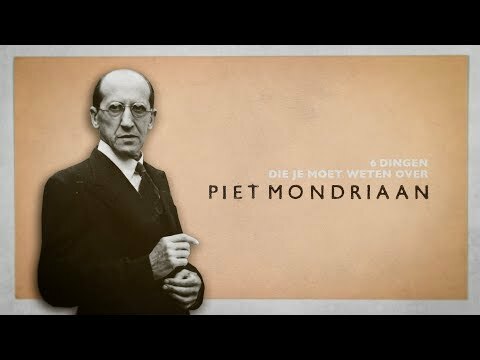 All too often Mondrian is seen as a serene artist, an ascetic monk who turned his back on life and was solely dedicated to his art. It is certainly true that Mondrian took his art very seriously, but what we know about Mondrian's lifestyle shows a completely different picture of the artist. The American painter Mark Rothko described Mondrian as the most sensual artist he had ever met. He enjoyed going out, was a jazz enthusiast and loved to dance. The enormous variety of work enables the Gemeentemuseum Den Haag to show the full scope of Mondrian's artistic development, from realistic to abstract. The exhibition also contains his last - unfinished - masterpiece, the Victory Boogie Woogie (1942-1944), a monument to New York, the city that exudes rhythm and unbridled vitality. The essence of De Stijl was finding a new art form that could be functionally applied within society. The starting point was the search for an ideal society and a visual language to go with it. The rationale of De Stijl was typically Dutch. By working together, the artists and architects hoped to create Total Art. As the 20th century progressed, art historians began to describe De Stijl more and more as a discursive, structured, almost severe school of art. This was quite different to the intentions of the artists themselves. They used bright, primary colours to create works of art that were vivacious, bright and unrestrained, like the future itself. It is this positive approach in particular that the Gemeentemuseum in The Hague has chosen to focus on in their renewed presentation of De Stijl. Gemeentemuseum Den Haag is home to the world's widest collection of works from De Stijl. The Gemeentemuseum's permanent Mondrian & De Stijl exhibition features work by Theo van Doesburg, Vilmos Huszár, Bart van der Leck, J.J.P. Oud, Gerrit Rietveld and Georges Vantongerloo, who, together with Mondrian, were the most important representatives of De Stijl. The exhibition has been arranged around the concept of 'The House - The Street - The City', after an article written by Piet Mondrian in 1925. A historical, chronological arrangement may well be an ideal way to show the successive events as they happened, but this approach does far more justice to the fascinating confluence of art, design, and architecture. Moreover, the theme-based display really brings the exhibition to life. The exhibition is innovative, moving from the micro to the macro level, starting from the intimacy of the living room before zooming out to the street and the city, covering subjects such as advertising, photography, fashion and society. The studio of well-known artist Krijn de Koning and architect Anne Holtrop was engaged to design the exhibition. In this project the artist and architect worked closely together - in true De Stijl tradition - to create a total work of art. This forms the framework for the exhibition, yet it is more than just the décor; it is a work of art in itself and carries the title 63 spaces for a work. De Koning and Holtrop designed a series of rooms for the various parts of the collection of Mondrian & De Stijl, yet the design is also autonomous: 'a building within a building'. At the heart of the exhibition, the design leads into a geometric installation in which the space gets smaller and smaller, changing from the human scale to the scale of the work of art itself. Krijn de Koning's work shows an affinity to De Stijl; it has an architectural character and shows just how contemporary the design principles of De Stijl still are today. Anne Holtrop finds the visual arts are an important source of inspiration for her architecture. The audiotour is available in Dutch and English. Pick up the guide from the information desk on the first floor.